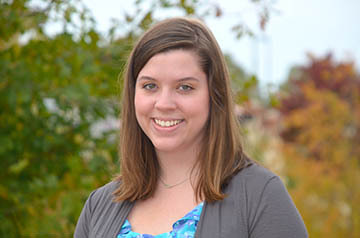 Rachel Sanders Belcher has been selected as the College of Education’s Fall 2014 graduation marshal. In this capacity, Belcher will represent the College and carry the COE Banner in the opening ceremonies of the Fall graduation exercises. She was nominated by her advisor and Rehab Counseling professor Dr. Lee Ann Alderman, based on her outstanding character, desire to serve others, and her sterling academic record. Belcher has a 4.0 in her major, and has made only two Bs in her academic career at Auburn – one in Chemistry and one in Physics. Sanders, who was recently married, said her husband also wants to serve in the mission field.